La asociación Directores de Obras Audiovisuales para Televisión (Directors Association of Audiovisual Works for Television) (DOAT) launches a cycle of training series on the various aspects of the realization of fictions, to be held from September in the city of Buenos Aires. 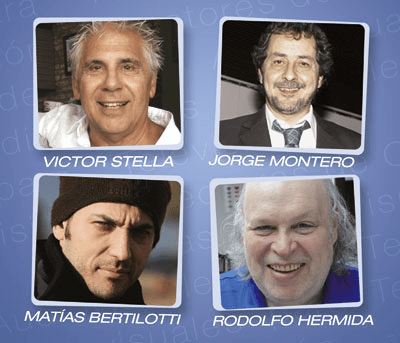 Recognized directors with experience and television productions broadcast in primetime of the Argentine television, will be in charge of different courses, seminars and workshops for students and professionals of the audiovisual media. Jorge Montero (“Herederos de una venganza”,”Los Roldán”, “Patito Feo) will give a course on “Management and operation of switcher TV”. Victor Stella (“Los unicos”, “Son amores”, Latam and RAI productions) and actress Coni Vera (Universal GC Group) will lead “Acting to Camera / Casting for Film, TV and Commercials”. Meanwhile, Matias Bertilotti (“Contra las Cuerdas”, “Amas de Casa Desesperadas” – Univision – and “Las Huellas del Secretario”), will be in charge of the course on audiovisual Projects Development and Rodolfo Hermida (INCAA, FLACSO, UBA, BAC, RAI, El Monitor Argentino) will train on New Technologies and audiovisual languages​​. The aim of the courses is to train students and professionals interested in becoming a part of our audiovisual industry by providing tools, techniques and concepts that contribute to the quality and professionalism of audiovisual products. The courses will be held at the Centro de Experimentacion Audiovisual (Center for Experimental Audiovisual) of FECIC (Moreno 431, CABA). For information and registration, the phone is 5199-3020, and the e-mail fundación@fecic.org.ar.